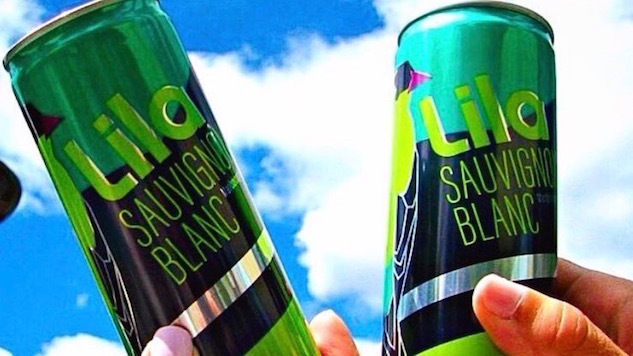 Lila puts three different wines in bright, pop-art inspired cans: a fruity Sauvignon Blan, a crisp Rose, and a mellow Pinot Grigio. And the cans are beefy too, 8.4 ounces each. Barefoot bottles are fairly ubiquitous at grocery stores across the country, and now you can find the party-friendly wine in cans. Actually, it’s a “wine spritzer,” but it’s Barefoot, so temper those expectations. Name your favorite wine variety—Barokes puts it in a can. And word on the street is, they’re pretty good. Barokes won best wine in a can at the New York International Wine Competition. FlipFlop’s variety of canned wines tell you everything you need to know about this trend: it’s not serious. It’s fun. Everything is “fizzy” and flavorful, built for the beach. This was the first canned wine that came across our desk, so we have a soft spot for it. Also, best name ever. Their cans are lightly carbonated, playing off the spritzer notion without going full spritz. Like Barefoot, Pampelonne isn’t going for straight wine in their cans. They’re producing “premium wine product,” or gently sparkling wine with natural ingredients thrown in. So you get fruity and refreshing Rose Lime and Red Sangria. Francis Ford Coppola has a series of Sofia wines, but the mini gets the can treatment. It’s all kinds of fruity (melon and honeysuckle) and super pink. Underwood might be the best known canned wine in the country, and they produce a solid line up of grapes in the can: Pinot Gris, Pinto Noir, a Rose and a Sparkling. Big 12-ounce cans too. Respect. Here’s how you know a trend has landed: Whole Foods is selling their 365 brand of sparkling cuvee in a can. Ah, yeah. Pretty much all of your favorite beer comes in cans (okay, almost all of your favorite beer), and now you can get some of your favorite wine in a can too. Over the last few years, more wineries, usually small and independent, have been turning to aluminum for packaging. The trend certainly has its detractors, but the reasoning behind canning wine is pretty obvious: portability. You can take these wines with you. In a backpack. To a picnic. On a boat…Check out these nine canned wines perfect for, well, anything.